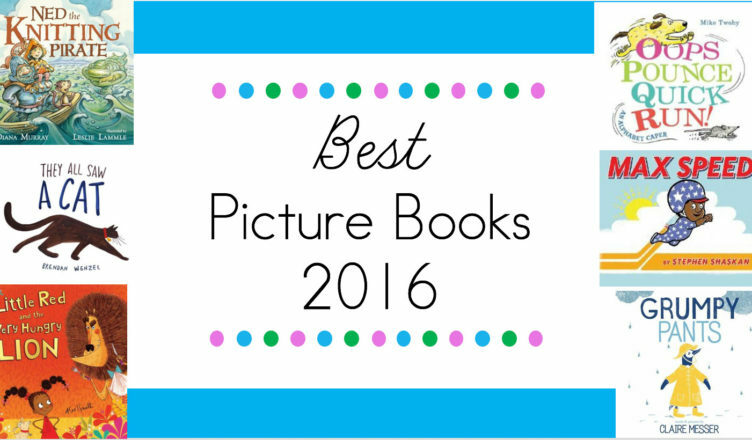 Of the many great books published this year, the following stood out as the best of the best. Enjoy! I am not a huge fan of alphabet books mainly due to the absence of a plot, but I really enjoyed reading this one with my son, however, because there was a bit of a story. 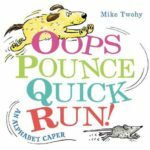 Using only one or two words to a page, we follow a dog chasing a mouse. The words appear big and bold with the appropriate letter highlighted in a bright color. The illustrations are full of action and are very engaging. My son requested this one multiple times and even asked me if we could act out the story. I think he really just wanted me to chase him through the house, but it was great fun and we collapsed in a fit of giggles pretending to fall asleep as they do in the end of the book. We’ve all had bad days. Penguin is having an exceptionally terrible one for no real reason in particular. It isn’t until he finally slips into a nice bath, enjoys a hot chocolate, and cozies up into his bed that he begins to feel better. 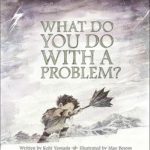 This was a great book to talk to my son about his own bad moods. We discussed what grumpiness means, ways to improve our mood and the fact that bad moods don’t last forever. We even pretended to wash off his grumpiness. It sounds silly, but it did make him smile. 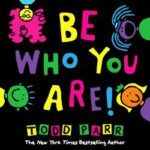 I love most books that celebrate uniqueness and Todd Parr is the master of making kids feel good about themselves. Using his signature illustrations, he instructs children to “Dance! Play! Discover!” and of course be themselves no matter what. A fun book to help build a child’s self- esteem. While the other chickens peck around the farm, Zoey has dreams, a plan, and a pig named Sam. 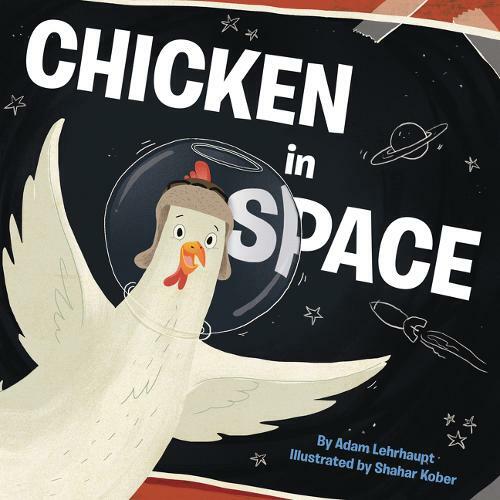 She is going to outer space and she isn’t going to let any other farmyard naysayers stop her. Using pure imagination, Zoey’s positive attitude and problem solving abilities lead her and Sam to the adventure of a lifetime. 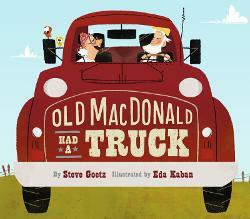 A final page features Zoey pulling a variety of objects out of a trunk that will inspire her next adventure. I knew this book was a winner when my son asked if we could get the next book in Zoey’s adventures. Since a sequel as not been written yet, we had fun coming up with our own ideas for Zoey. Using his imagination, a little boy has a series of exciting adventures with his toys. He zooms in his car until he runs into a river of lava. “Great Gadzooks!” What is Max to do? 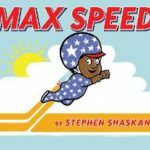 It was fun to predict with my son how Max was going to overcome each obstacle he faced. An entertaining book for adventure lovers. My kids can’t get enough of Jan Thomas’ books. Their simple pictures and text are the perfect combination. In this story, Mouse is making soup and enlists Cow and Pig to help. The key to Thomas’ success is that there is usually some kind of pattern with something unexpected happening to make children giggle. 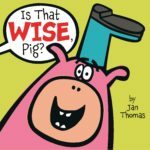 In this case, Mouse and Cow add vegetables to the soup and Pig wants to add some surprising items that cause Mouse and Cow to repeat the refrain “Was that wise pig?” In another twist, the items Pig brought end up being useful resulting in a silly ending. 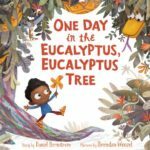 Some books about pirates can be a bit scary, but the soft water-color illustrations and bouncy, upbeat text make this the perfect read aloud. 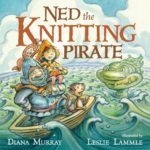 Ned is a pirate who stays true to himself despite his crew’s attempt to convince him that knitting is not rough and tough enough for a pirate’s life. When one of his knitted blankets lulls a fearsome sea monster back to sleep, the other pirates realize the value of knitting and learn the new hobby. This book begs to be read out loud and it is almost impossible for children not to join in on Ned’s refrain. My son could not get enough of this book and we read it so many times he memorized the pirates’ songs. This book is filled with beauty and depth and most importantly children love it! The first time I read this book, I thought it was nice, but it did not blow me away. Then I read it with my first and second grade students and they thought it was amazing. Some of them described it as “mysterious and peaceful.” Then I read it with my four-year-old son and it became his favorite bedtime book for weeks. After seeing it through children’s eyes, I had to agree that this book is in fact incredible! The setting sets the tone of this enchanting tale. Grimloch Lane is a sad and bleak place during a time period that appears to be The Great Depression. A young boy named William notices a tree outside his window has been transformed into a beautiful topiary resembling an owl. Each day, new topiaries appear one more magnificent than the next. Some of my students evened gasped and let out exclamations of “whoa” when I turned to the two-page-spread featuring a stunning Chinese Dragon. None of the inhabitants of Grimloch Lane know who is creating these beautiful topiaries, but William discovers the secret one night and is invited to help construct the most incredible display of topiaries yet. It is almost impossible to escape being drawn into this magical story. Observant children will notice several details that add to the book’s beauty and poignancy and will want to read this one again and again. This is sure to become a classic. 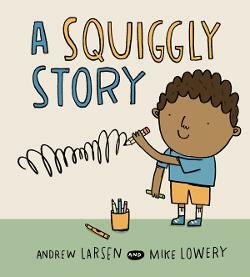 This book is the perfect inspiration for budding writers. A young boy is learning his letters and envies his sister’s ability to write “big” words. She encourages him to start with a single letter and tell his story from there. After writing an “I”, he realizes he can tell his story with individual letters, squiggles and symbols. A circle becomes a ball, “V’s” become waves at the beach, and soon “I” and “U” (the boy and his sister) are playing soccer at the beach. The boy is so proud of his story that he shares it at preschool where he inspires others to write their own stories. In this version of Little Red Riding Hood, our heroine travels through Africa to deliver medicine to her Auntie Rosie. The predominant red and gold colors make this story come alive and one can’t help but smile at the exuberant Little Red. 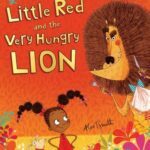 The wolf is replaced by a naughty lion who gets his come upends with an amusing makeover by Little Red. This is a fun new look at a classic tale! 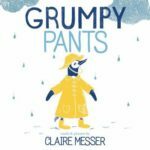 The hilariously accurate portrayal of parents serving their child’s every whim, makes for a highly entertaining picture book. I honestly don’t know who will laugh more from this story adults or children. 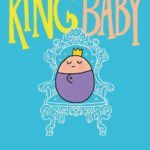 I personally had so much fun reading the baby’s commanding, imperious commentary, “King Baby is generous. You will have smiles and laughs and kisses/ But your king also has many demands! Feed me! Burp me! Change me!” The illustrations, especially the baby’s expressions, are comical. Eventually the baby begins to grow into a big boy and he worries for his poor “subjects”. Luckily his successor, Queen Baby, joins the family for more adventures. Nick and his cats, Verne and Stevenson, love playing together except when it is time to read. Nick tries to make reading more enjoyable by teaching his cats to love it as much as he does. Verne picks up on the skills quickly and joins in on the fun, but Stevenson runs away and hisses. 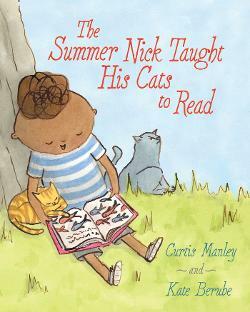 Nick finds that it simply takes time and the right book to help a reluctant reader become an enthusiastic reader. I really enjoyed this story, but I absolutely loved the illustrations. I couldn’t help but smile at Stevenson’s grumpy expressions throughout the book and I literally laughed out loud when he sports an eye patch after writing his own pirate story. 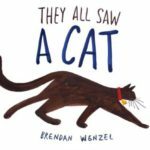 Such a fun read for cat and book lovers! The premise of this book is a little disturbing since a giant snake eats a boy and pretty much anything that gets in his path. I was worried my son would be scared, but instead he thought it was funny and loved the repeating refrain. I love this book on so many levels. 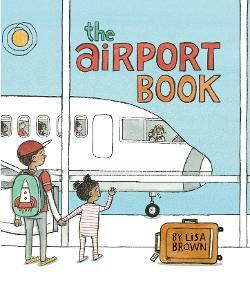 Not only is it the perfect book to travel with because the setting is an airport, but additionally there are two parallel stories that can be read together or one at a time depending on how long you want to look through the book. One storyline is told using speech bubbles from a mixed-race family as they pack, travel through the airport, relax on the plane, and then arrive at their destination. The second storyline is told through an omniscient narrator who simply describes the process of travelling via airplane. The detailed illustrations are a joy to look through. The airport is filled with many passengers that occur in multiple scenes allowing observant readers to follow their adventures as well. This is one of those magical stories that you can read again and again and always notice something new. It is perfect for preparing a child for their first flight or just to share as a fun story. My four-year-old son requested we read this book over and over again. A visually stunning book with one of my favorite covers of the year. 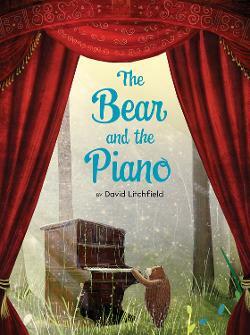 A bear discovers a piano in the forest and teaches himself how to play. He soon travels the world sharing his talent, but discovers there is no place like home. A sweet and beautiful story about following one’s dreams. 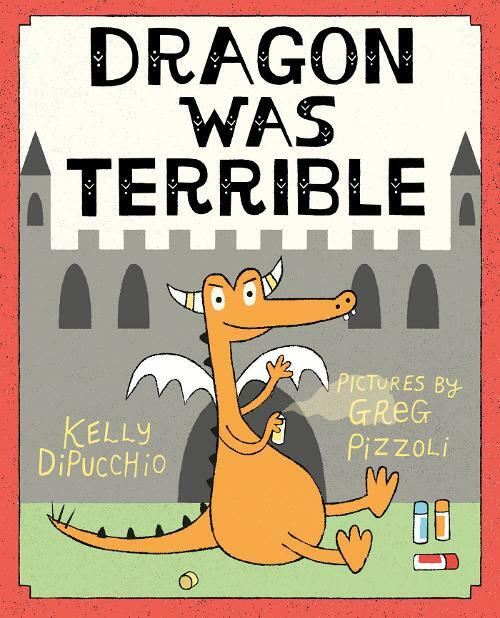 In general dragons are known to be pretty terrible, but this dragon is particularly rude. He scribbles in books (gasp! ), he steals candy from baby unicorns, and he pops birthday balloons. Something must be done! The king has offered a prize to anyone who can tame the terrible dragon, but alas, all the brave knights in the kingdom fail. Finally, a young boy has the idea to read to the dragon. At first the dragon resists the story, but soon finds himself completely engaged in the tale. This is a hilarious read that reminds us of the joy of storytelling. 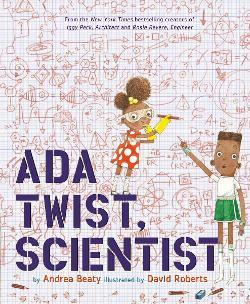 The rhyming text tells the story of Ada Twist, a curious little girl who asks questions and creates science experiments to better understand how the world around her works. This is a great story of perseverance and will serve as inspiration to other budding scientists. Pair with Beaty’s other New York Times best-selling books, Rosie Revere Engineer and Iggy Peck Architect. This book is absolutely amazing. It is so simple yet so clever in its design. The beautiful artwork displays a house cat through the eyes of different animals. To the mouse, the cat appears big and scary. The dog sees a skinny unsightly creature where the bee only sees a formation of dots. 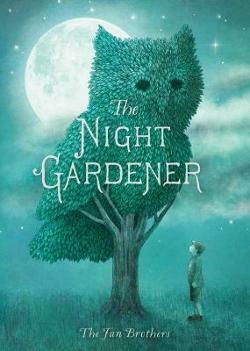 The artwork is incredible and should be a strong contender for the Caldecott Award this year. A boy is faced with a problem that he cannot overcome. He begins to worry, causing it to grow bigger and bigger until he realizes the only way to make it go away is to face it. Only when he meets his problem head on does he realize there is something beautiful inside; an opportunity. Suddenly the bleak colors turn bright and the world is an adventure again. As an eternal optimist, I love the message in this book.